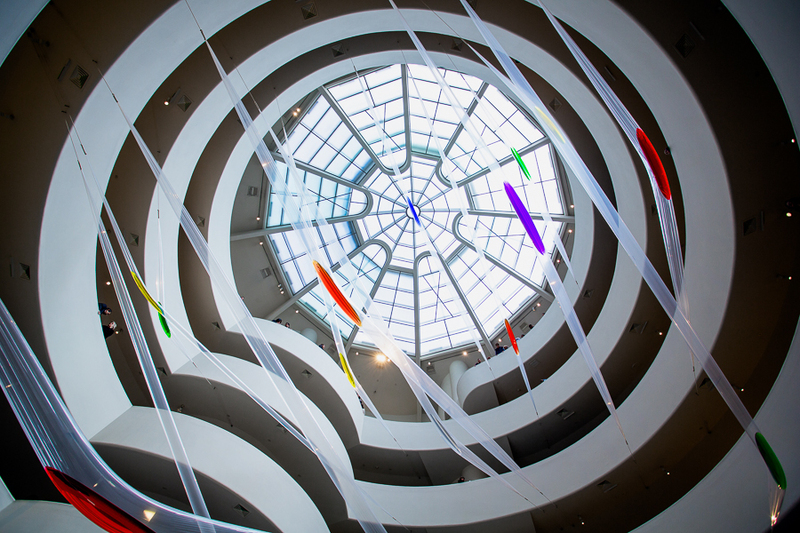 We went into the city to see the László Moholy-Nagy show at the Guggenheim. I like to see almost anything Bauhaus but in this case, the head of my MFA committee, the late David Foster was a student at Moholy-Nagy at the Institute of Design in Chicago. So, I had to pay my respect. 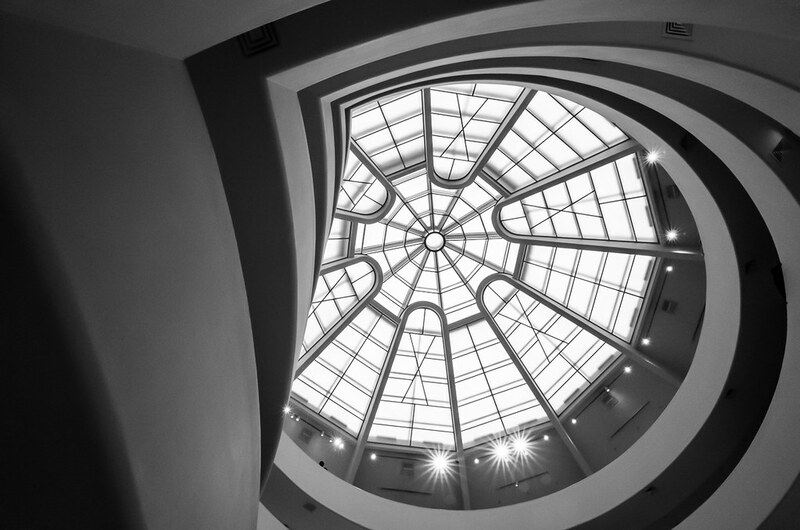 Frankly, the show wasn’t all that great but I enjoy the Guggenheim and it’s always good to get into New York. I’ve shot this ceiling before but never this close to the lower spiral staircase. I’ve seen a lot of people shoot it from here up on Flickr and so I wanted to give it a go. Frankly, it was a tough shot to get in focus, a bit too much depth and a bright skylight and dark perimeter. Thank you Cornelis. I know you know the view well. But you managed to capture it nicely. Thanks Jonne. Wish it had a higher shutter speed and more sharpness but alas, it is what it is.